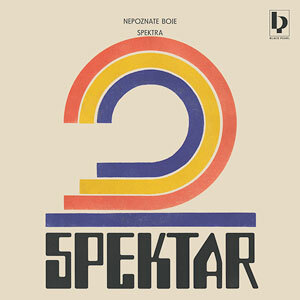 Black Pearl Records » Blog Archive » SPEKTAR – ” Nepoznate Boje Spektra ” Vinyl LP & Digital ••• out now and available at our shop !!! The most “spektarcular” discovery of Croatian Jazz Funk recordings from the private archiv of bass-player and producer Davor Rocco, researched by Višeslav Laboš !! An amazing collaboration of the high-class Beat and Funk musicians of Zagreb´s progressive music-scene from the early 1970s. The members Enco Lesić, Davor Rocco, Dragan Brčić and Neven Frangeš were also performing with Ex-Yugoslavian Jazz and Funk legends like Boško Petrović, Gabi Novak, Drago Mlinarec, Josipa Lisac and Grupa Indexi. This album includes 6 tracks of the fabulous Spektar project, two Beat Jazz Grinder of shortlived Rocco´s pre-Spektar outfit Grupa Hej and one more track from Rocco-Supermarket.